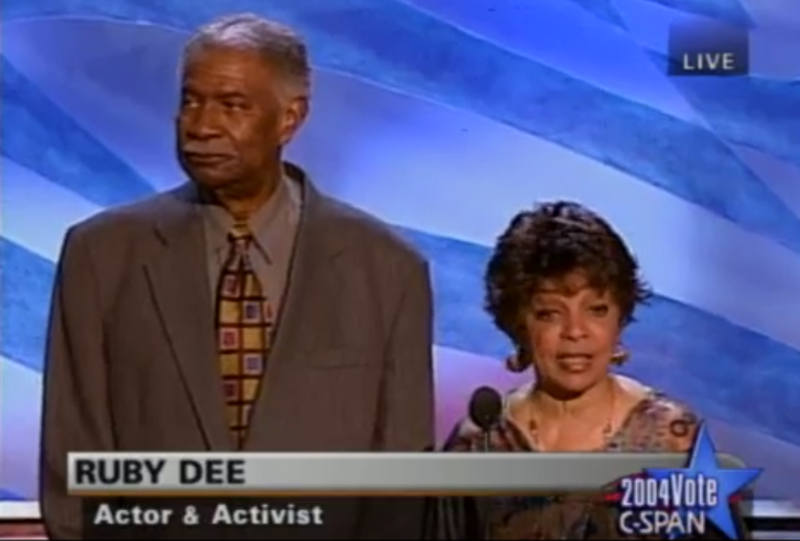 Ossie Davis and Ruby Dee speak at the Democratic National Convention in 2004. On this edition of In Black America, producer/host John L. Hanson Jr. presents a tribute to screen and stage legends Ossie Davis and Ruby Dee. Davis died on Feb. 4, 2005. He was 87; Dee died on June 11, 2014 at 91. Davis and Dee talk about their careers, the civil rights movement, race-conscious issues and family life.